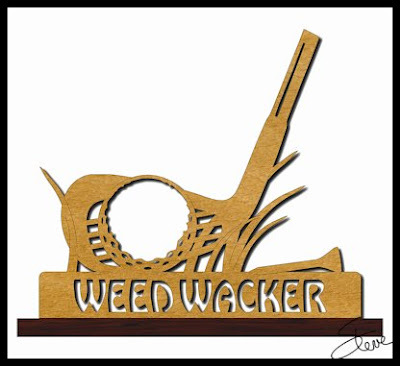 Bricklayer Plaque Scroll Saw Pattern. 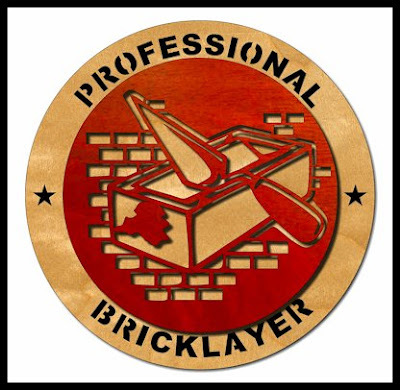 Eight inch Professional Bricklayer plaque. Just wanted to let everyone know that I received all the email with interest in the Jet Clamp Jig. Sorry I could not reply to everyone but I got pretty busy today. There was plenty of interest so I will continue to order taking. I am waiting for my shipping packages and mail supplies. Should be ready to take orders later this week. I am printing and assembling several more tonight and tomorrow. I think I will have enough to go around. I had several emails asking about 3d printers. Understand that I am just getting my feet wet so I don't have very many answers. The main topic of questions involved whether or not they could do anything useful. I was one of those skeptical people also. I have somewhat changed my mind. I have become a believer that they are useful, but..... And that's a big but. In my opinion they only become useful once you master the CAD software so you can actually design your own parts. 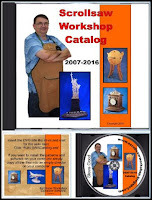 Yes you can download thousands of free 3d models and some my be useful. Most of them are just trinkets. To me the real value comes out when you make something that does not exist already or something that is too difficult to buy. 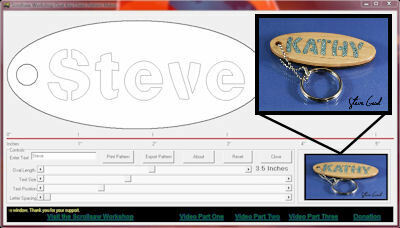 If you want a trinket printer they work great for that but how long will that stay exciting. 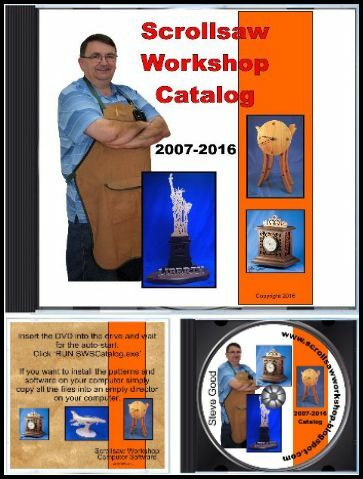 There are entry level CAD packages that you can use to design 3d patterns. Tinkercad is a good place to start. For me the holy grail was when I found Autodesk Fusion 360. 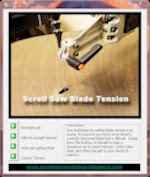 It is cloud based CAD software with a very advanced tool set. That advanced tool set come with advanced training. I probably have 20 hours of training in the last week alone. I still feel like I have just scratched the surface. It's a good thing I retired last year because I'm working 60 hours a week now. :) I have no idea how I ever held down a real job. Those are 60 hours of pure pleasure which is much different than a 40 hour grind. To make a very long story short I am happy to talk with you about 3d printers but just remember I am a total noob. I am also all ears if you have information to share with me. 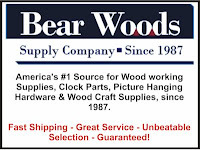 I may not have mentioned this before but Bear Woods carries a strong selection of hardware. Screws, picture hangers, wire and lots more. Remember to select the small package shipping if your order is eligible. 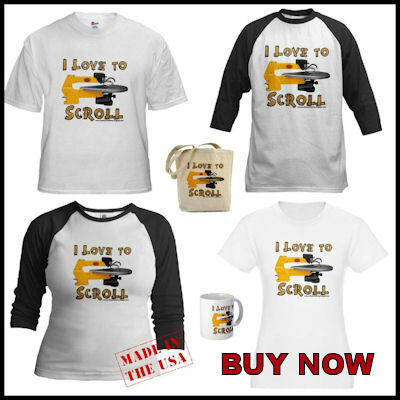 That will save you quite a few nickles if you are in the U.S. 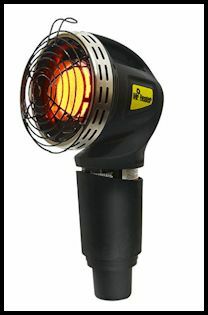 This item may be of interest to some of you. The value is pretty good. 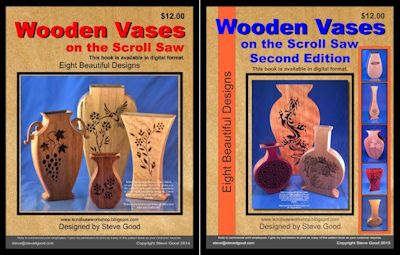 The Heritage Wood Scroll-PAK is available in 5, 10 and 20 SF packages for a nice price. Here is their description. 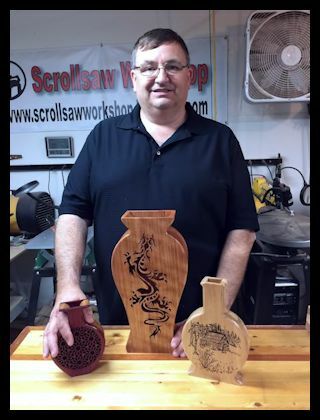 Our Scroll-PAK® is an assortment of wood that just didn't quite measure up to the perfect standards of Spec-WOOD® and Scrollsaw Blanks. Pieces can be from 1/8" to 1/2" thick, 2" to 12" wide, and from 6" to 24" in length and may have saw marks on one side. This mixed pack is good for ornaments and other small projects. 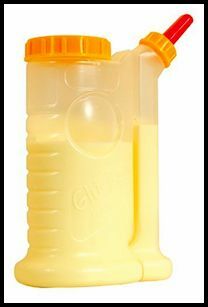 If you use a lot of a certain type or size let us know and we will try to construct your Scroll-PAK® as close to your needs as possible. 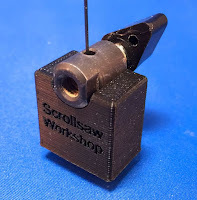 This is the printer I am using to print my scroll saw related accessories. For $200 this thing cannot be matched. The print quality is very good and it come assembled. Most 3d printers in this price range are DIY. 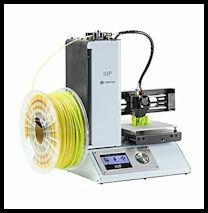 If you want to test your hands at 3d printing without breaking the bank this is a great choice. 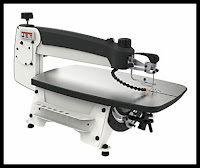 Gymnastics Superstar Scroll Saw Pattern. 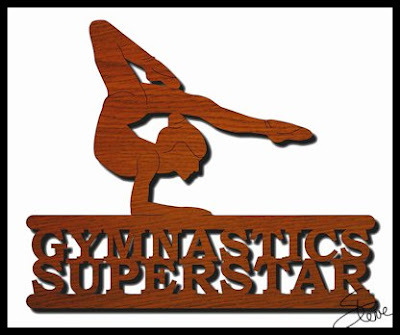 Make this gymnastics trophy for the little superstar in your life. 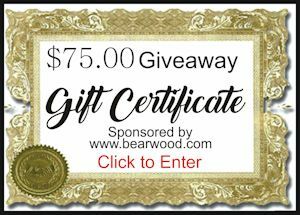 Time is running out to enter this months Bear Woods $75 gift certificate giveaway. 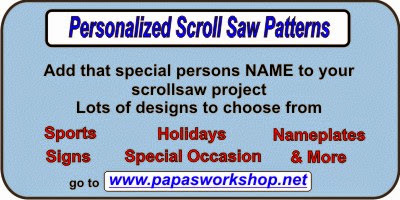 You can get a lot of the great Pegas scroll saw blades for $75. 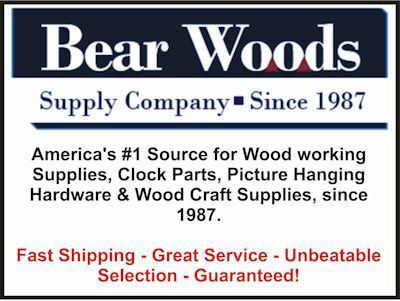 Maybe you need some clock inserts or wooden parts for a project. Whatever you need why not enter and try to get it for free. To enter look for the gift certificate on my blog. It is in the top left column. Click the link and follow the instructions. Here is one clause from the policy that was important to me before I selected them to work with. "We do not sell, trade, or rent Users personal identification information to others. We may share generic aggregated demographic information not linked to any personal identification information regarding visitors and users with our business partners, trusted affiliates and advertisers for the purposes outlined above. We may use third party service providers to help us operate our business and the Site or administer activities on our behalf, such as sending out newsletters or surveys. We may share your information with these third parties for those limited purposes provided that you have given us your permission." 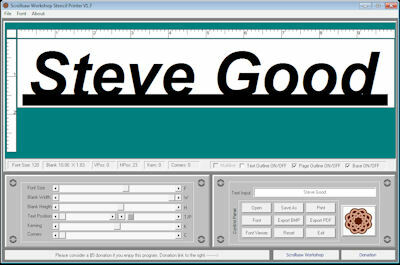 I am working on the $3 pdf catalog update. 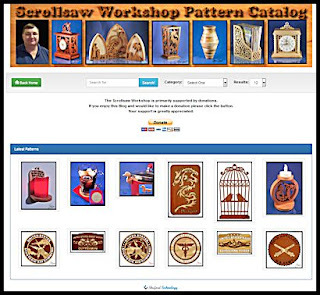 There are 30 new patterns to add. I have the update nearly finished and will post it very soon. Thanks for your patience. 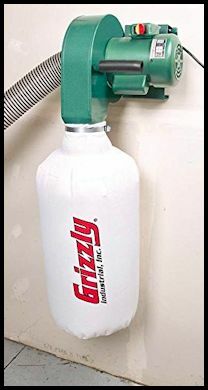 I have nor personally tried this dust collector but the concept looks great. Every shop needs dust collections. In a small shop like a garage it's difficult to find the space. This unit hangs on the wall, out of the way. Plug this into a remote start switch and you have a nice portable system. It's starting to feel like Spring here in Kentucky. I think we got over 70 degrees today. We will probably have some cold weather still to come but golf season is not that far off. Make this trophy for the want to be gold pro in the group. Stay warm in that golf cart.